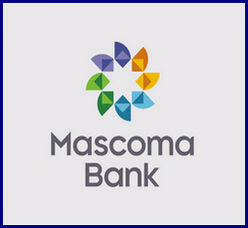 Lebanon, NH: For nearly 120 years Mascoma Bank has exceeded the expectations of the customers, community and employees it serves. CSFi has been chosen to continue a long tradition of profitably providing an array of financial products and services to meet the changing needs of consumer and business customers. By the end of 1899, Mascoma Bank assets totaled less than $27,000. Now, with over $1.7 Billion in assets and 25 offices, the interstate commercial bank has chosen CSFi’s SWITCHWARE® G4, FraudBlock™ and POS and mPOS systems to continue their proud tradition and provide card management, ATM and ITM driving, and future merchant acquiring services to retail customers and local businesses. Designed to streamline operations and simplify the monitoring and management of both today’s and tomorrow’s emerging payments technologies, the bank will rely upon SWITCHWARE G4 for the routing of all acquired transactions, ATM monitoring, and maximum system availability. Providing support for multi-vendor ATM fleets around the world, SWITCHWARE drives thousands of ATMs in over 20 countries. FraudBlock is CSFI’s dynamic, real-time fraud detection and prevention solution designed to integrate seamlessly with SWITCHWARE to reduce fraud losses and boost cardholder confidence. FraudBlock will provide Mascoma Bank with real-time fraud monitoring and research, and the capability to stop fraud before it happens. The highly parameterized rules-based nature of the system will allow extreme flexibility in tailoring functionalities to meet current and future business requirements of the bank and its customers. The ability to accommodate the latest innovations in profit maximizing technology is more important than ever. The flexibility and scalability of SWITCHWARE G4 is unsurpassed. Learn more about incorporating the transaction processing power, scalability and functionalities of SWITCHWARE with G4 Web-based Apps in your unique ATM operating environment. Contact Sales to arrange for a personal appointment. Learn more…Register now at CSFi.com…Once registered, users have full access to brochures, videos and additional information describing the features and benefits of our entire suite of products, services and solutions.